A big thanks to all members of my Parry soviet who have been helping me to better describe myself to those people who’ve never heard of me before. As a result I now have a brand new strapline, as you can see from the top of the website. That’s the one you helped me come up with. It seems that when it came to music you were all virtually unanimous about John Lennon much to my flattered embarrassment. I must admit I feel a bit of a twonk making any comparison between myself and Lennon!! But I trust people will realise that in fact I’m not. I’m just trying to paint a bit of a picture for people who encounter me for the first time so they may be bold enough to give me a bit of a listen. Or even better, book me for a show! Same with Tony Benn. It was the only other name in the survey that came back to me with the same frequency as Lennon’s did. You said I sound a bit like Lennon vocally (thanks!! 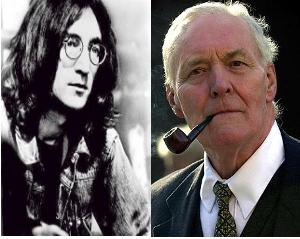 ), and you guessed rightly that Tony Benn is someone who has inspired me. So I’ve kind of joined them up in this too-clever-by-half fashion. Do you think it works? Does it give a decentish flavour of what you’d expect from my music? Let me know. P.S. All those who replied to my survey to get me to this point will be getting my complete back catalogue signed by me as a mega thankyou to you all. After Chrimbo though if that’s ok. Big thanks again to those who helped me out.